Speaking to The Telegraph, Crowley insisted that geo-location game/service has picked up major interest from Microsoft, Google and Yahoo. 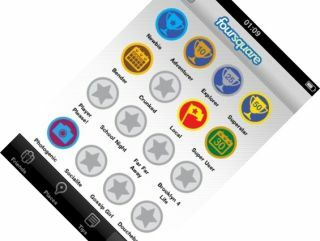 Foursquare is a location-based social network that allows people to check in to locations and earn points. "We can anonymise data and use it to show venues which are trending at that moment," Cowley told The Telegraph. "Twitter helped the world and the search engines know what people are talking about. Foursquare would allow people to search for the types of place people are going to – and where is trending – not what." Fourquare is currently riding high following the news that the service had raised $20 million (c£13m) in venture capital in June. The company has longstanding ties with Google, but Microsoft has shown itself to be keen to invest as it looks to wrest market share back from its rival. Foursquare recently announced that it is clocking up to 1 million check-ins every day, and the power of using that data is clear to the search giants. Should either Microsoft or Google sign a deal with the service then you can expect that total to leap exponentially.